While maintenance and cleaning can be done by the user, service and possible troubleshooting must always be done by an authorized alarm installer. For more information, refer to Service & Support. 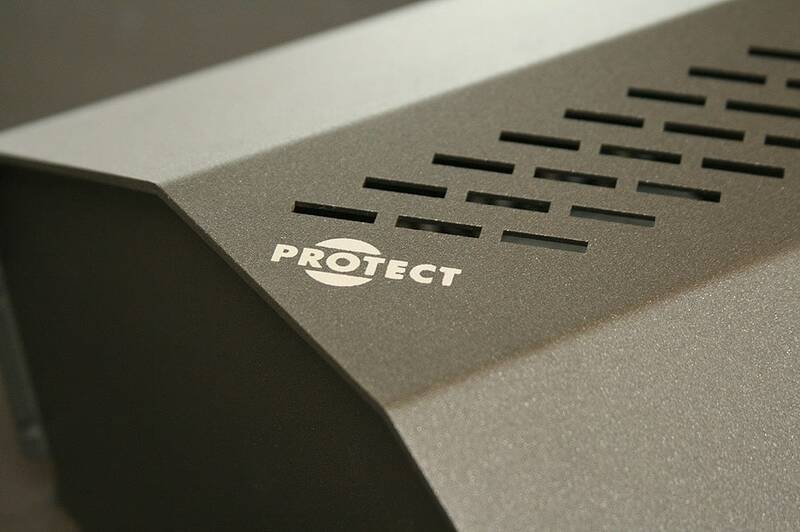 A PROTECT Fog Cannon® requires minimal maintenance. It is cleaned with a dry duster or a slightly moist cloth without detergents, chemicals or solvents. In case of activation of the Fog Cannon™, we recommend effective ventilation for 20 minutes within the first hour. If the location is not ventilated in time, there is a risk of condensation of the fog particles. The condensation is harmless and can be removed by wiping all horizontal surfaces in the room with a slightly moistened cloth without detergents, chemicals or solvents. A PROTECT QUMULUS® (produced after September 1, 2014) and PROTECT Xtratus® are designed, so that you as a user can replace the fog fluid container yourself. Fluid containers for other models must be replaced by an authorized alarm installer.